30-day Metabolic Transformations Program - Call now for Free Health Assessment! "Dr. Preston is kind and very knowledgeable. I am looking forward to seeing her again! " "Wonderful and knowledgeable ND! Dr. Preston does a great job addressing all your need!" "Dr. Preston is a very down to earth and knowledgeable practitioner." "Dr. Preston also has assisted other friends and family to gain balance and well being." Cynthia Preston, ND, is a licensed naturopathic doctor serving patients at Beachside Naturopathic Clinic in Sunset Beach, California. She focuses on pediatrics, women’s health, and family medicine. Dr. Preston’s holistic approach empowers patients to take control of their own wellbeing and overall health so that they can achieve sustainable wellness. When treating patients, Dr. Preston focuses on identifying and addressing the root cause of the patient’s problems using the most natural methods possible. She offers a variety of different treatments, including botanical medicines, nutritional supplements, lifestyle modifications, and dietary changes. When necessary, she may also recommend pharmaceutical prescriptions. Her ultimate goal is to help patients lead happier, healthier lives. Dr. Preston completed her medical education at Southwest College of Naturopathic Medicine in Tempe, Arizona. She received comprehensive medical training in both natural and conventional modalities. Dr. Preston believes that all care should be individualized to meet the patient’s unique needs. She always takes the time to listen to her patients so that she can understand their current health status and goals. She has a passion for many different health issues, including community health, nutrition, gastrointestinal conditions, autoimmune conditions, and pediatrics. Sign up to take your next step toward better health by registering for an upcoming health seminar or getting Naturopathic Medicine 101. Every 2nd Wednesday of the Month from 5:30-6:30pm. Meet Dr. Preston and learn if Naturopathic medicine is right for you. There is a different health topic each time! In the state of California, Naturopathic Doctors can not accept insurance. However, if you have PPO insurance, you will be provided with a superbill with codes to assist you with possible insurance reimbursement for services, but we cannot assure that our services will be reimbursed for. 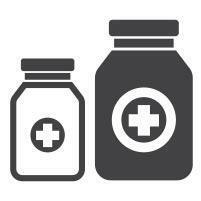 If you have PPO insurance they will cover basic labs and will partial pay for our naturopathic specialty testing. Thank you for your understanding. We provide successful natural holistic healing for your condition! "We take the time to work with you to treat your disease and relieve your symptoms for lasting healing!" Click here to purchase our supplements online!